1. Grab yourself a daft and gullible tourist. 2. Promise them a rare sighting of the Haggis animal (or Haggi if they want to be greedy and see a herd) for �20 an hour. 4. Don the Harris Tweed and Tam O Shanter, ensuring the bagpipes are visible on the back seat. 5. In a broad and thick accent, ensuring you roll your rrr's, ask if they want to see the 3 legged species (three legs help them go round the hills faster) or the four legged species. 6. Drive to a bonnie place where you can enjoy a spot of fishing whilst the numptees go off and hunt the haggis. 7. Have a wee laugh as you pocket an easy �20! 8. 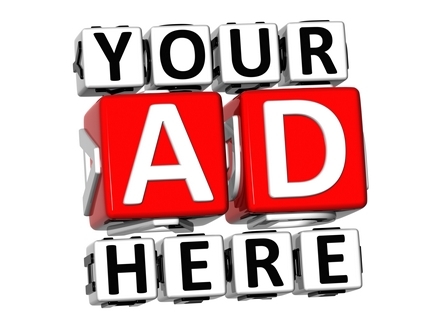 Double your profits and sell them the fish you've just poached. Though Scottish Recipes have heard from a fellow Scotsman that in order to catch a haggi you need to climb to at least a 1000 feet on the mountain side and walk round in a anti clockwise direction. This is because it has two short left legs and two long right legs. When it sees you it will turn to run but will fall over because of its leg sizes and roll down the hill. Once it reaches the bottom you then go down and shoot it with your porridge gun! 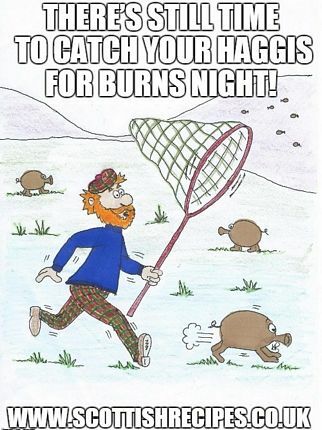 A real Haggis Hunt was organised to celebrate Burns Night in January 2011 by Hall�s the makers of Scottish food. This was held at Baxter Park in Dundee and Callendar Park in Falkirk, Scotland and haggis hunters had to find the Great Emperor haggis to win �500 of Asda vouchers. This is sold around Burns Night and St Andrews Day by Hall�s and weighs 2.37kg and is sold at Asda stores through Scotland. Runners up also won vouchers to spend on Hall�s products. We in Arizona USA have the Snipe hunt. This is a small bird that only comes out at night and is quite dim. To hold one take your brother or sister out in the middle of nowhere at night and have them hold a burlap bag open while directing the beam of a flashlight into the bag. They must of course be very quiet and very still while shinning the flashlight into the bag. 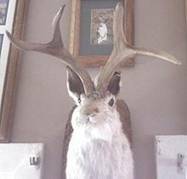 The Wyoming Jack-a-lope, photo below of mounted specimen, is however quite tasty when prepared correctly. Quentin. A Snipe Hunt features in the 2009 Disney cartoon film Up. The grumpy old man character Carl Fredrickson, played by Edward Asner, sends the eager young boy scout Wilderness Explorer Russell, played by Jordan Nagai, on one to get rid of him. Keen Russell comes back with a strange looking bird who accompanies them on their adventures.